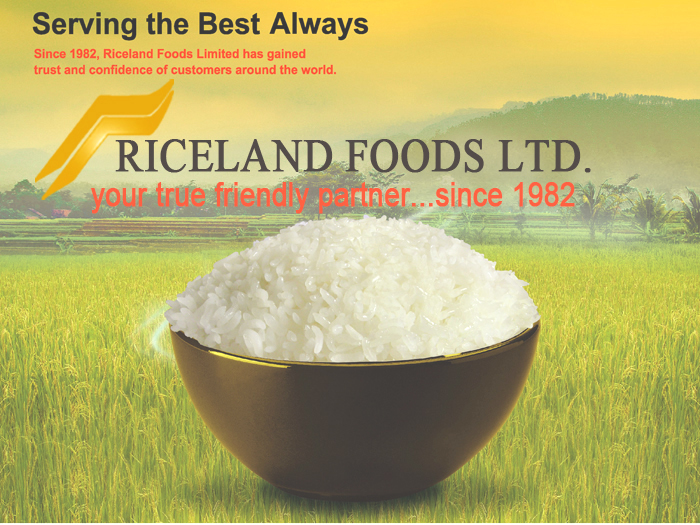 Since 1982, Riceland Foods Limited has gained trust and confidence of customers worldwide. Our quality products, skillful management, and well-organized manufacture have contributed us to receive the certificates of BRC, GMP, and HACCP. Our continued attempts to be “Your True Friendly Partner” have been proven and perfectly explain why we have successfully supplied rice to markets throughout the world and why we are one of the leading Thai rice exporters. Copy Right @2011 Riceland Food Ltd. All rights reserved.